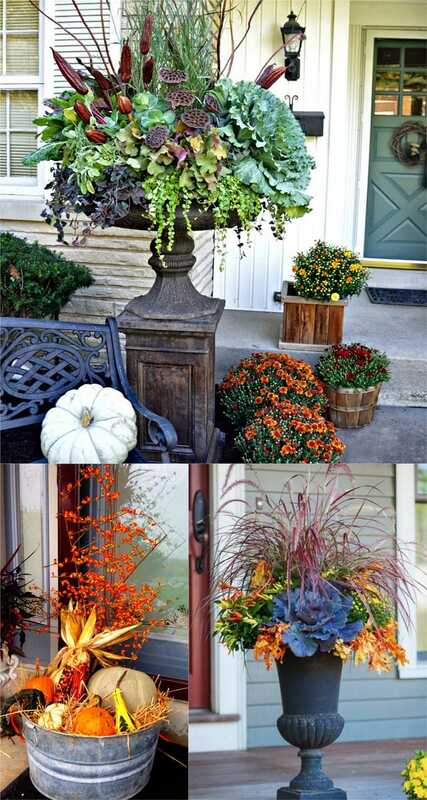 One of the best ways to celebrate autumn’s glory is to create some beautiful fall planters by the front door! Fall is such a special time of year. We can’t help feeling inspired by the colorful foliage and pumpkins, the abundant harvest, and the festive Halloween and Thanksgiving. 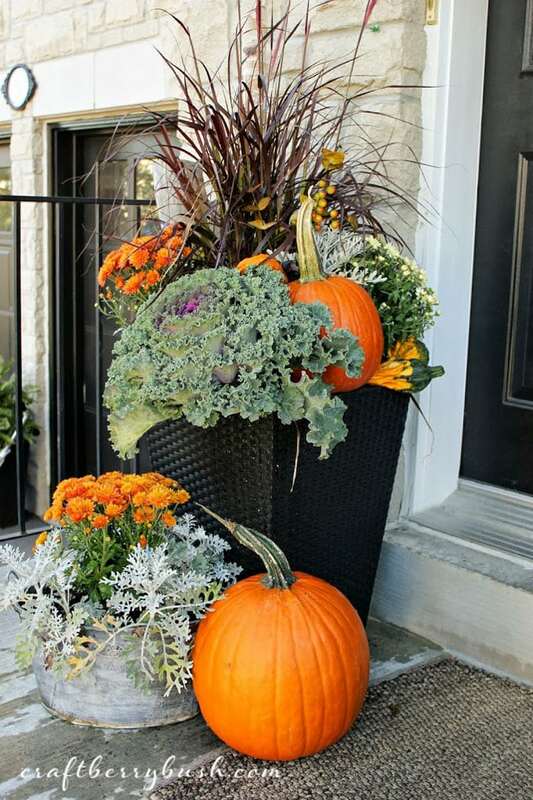 Today we will explore some glorious fall planters great for Thanksgiving and fall decorations, including many inspiring fall planter ideas and container garden inspirations with Mums, pumpkins, kale, and other ornamental plants, best fall flowers for pots, other decorative elements like straw or seed pods, and more! 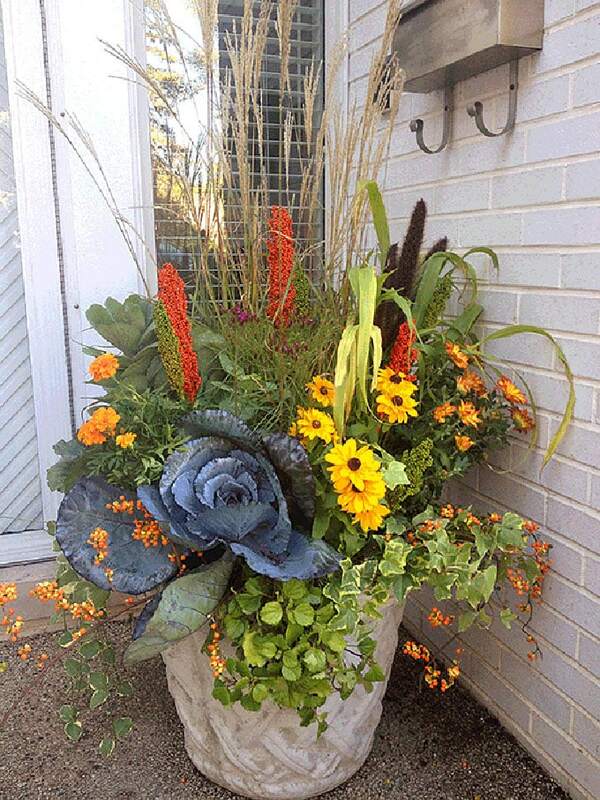 Ornamental Kale and cabbage plants are like giant flowers in autumn harvest season. 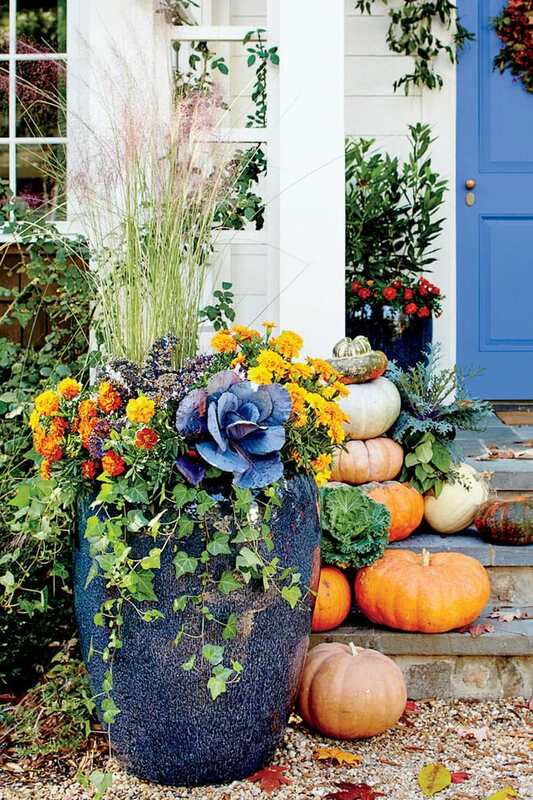 Their beautiful blue or sage green tones form the perfect contrast with orange pumpkins and golden fall leaves in this fall container garden. 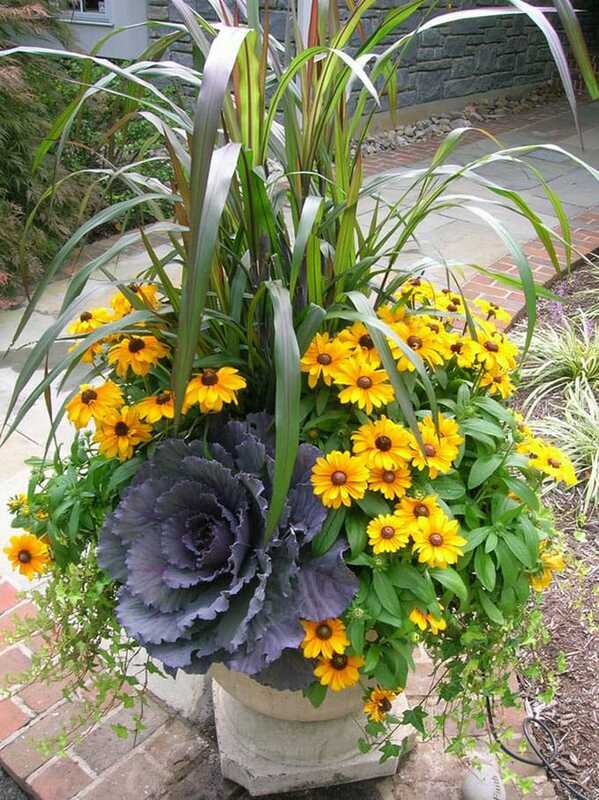 Purple fountain grass and bright colored peppers also look amazing here with kale in fall planters. 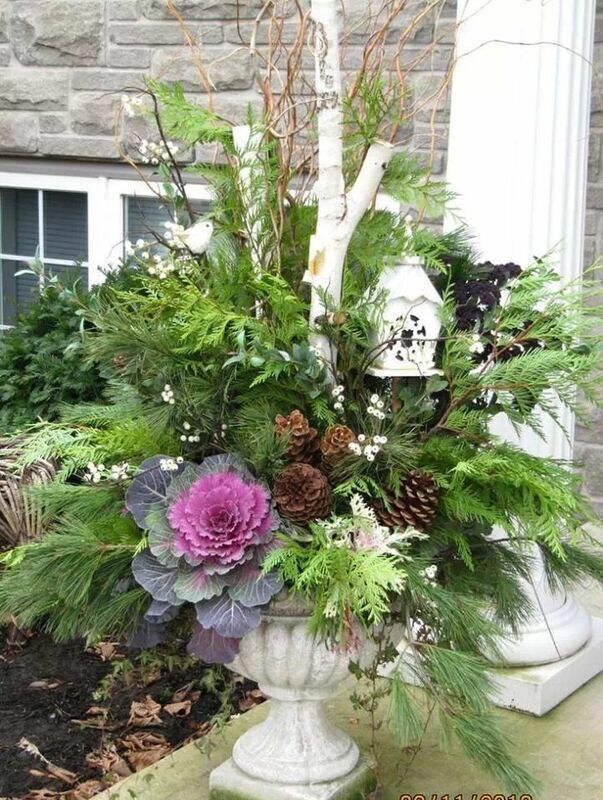 This planter above with conifers makes an easy transition from fall to winter and Christmas decorations by simply replacing the kale with red berry branches! Here are 20+ stunning winter and Christmas planters for you to check out! Mums and Violas are both great fall flowers for pots because they bloom beautifully in cool weather. 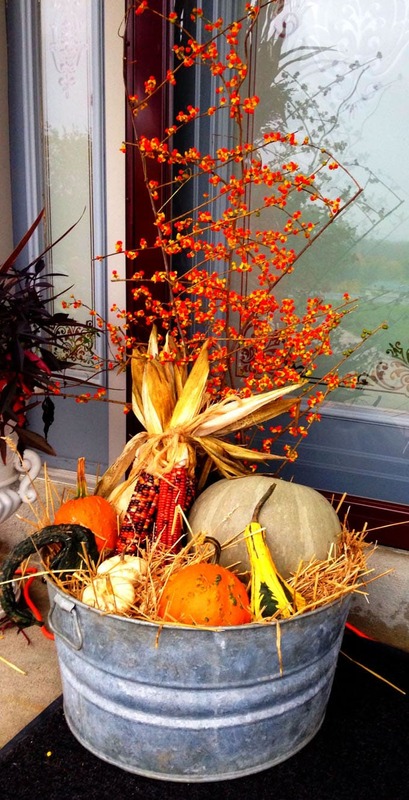 Another favorite: Lucy at Craftberry Bush created such beautiful fall decorations with planters and pumpkins on her front porch! 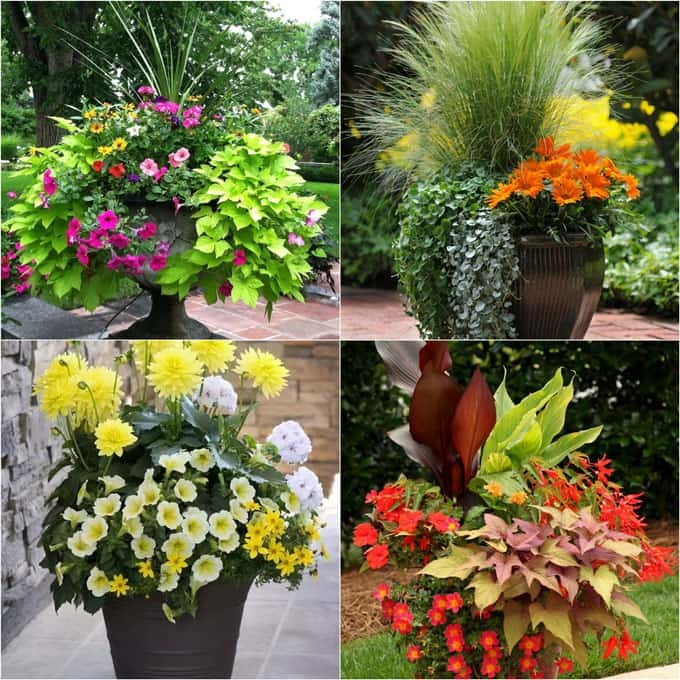 Related: gorgeous container plantings WITH PLANT LISTS for spring and summer gardens! 20+ Container plantings WITH PLANT LISTS for spring and summer gardens! 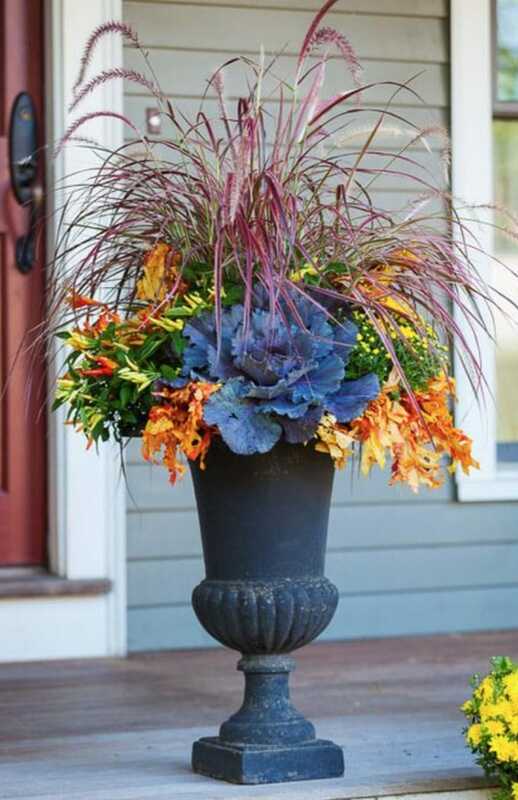 Mix these flowers with tall grasses, blue and purple kale, and other fall decorations accents like berries, cat tails, or pumpkins to create beautiful fall container gardens. 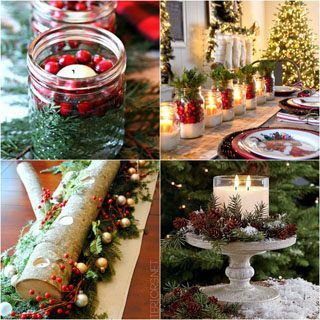 So adorable pics and all the decorations are just fabulous. 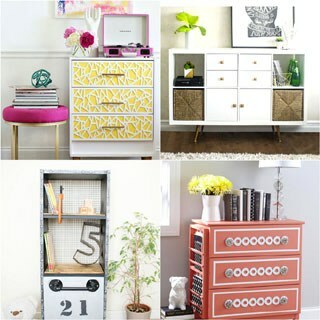 I can’t even pick a favourite. 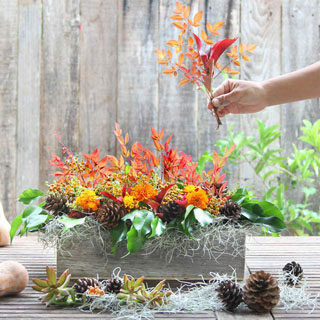 I had not expected such a detailed article on fall planters, but again it was awesome and incredible. I had so much fun looking through and reading your instructions all your FABULOUS Halloween decorations! Thank you so much for sharing your creativity, your talent and your “MASTERPIECES” with all of us who adore decorating…..for any occasion! I loved all your creations….thank you again for sharing! !